★★★★★ We bought these as a wedding gift to pair with a coffee grinder from their registry and they are totally adorable. I was a tiny bit concerned that they would be cheap or cheesy looking, and they are neither. These are well-made and packaged in an adorable box with sayings about soul mates. Just a perfect gift for any couple for any occasion. ★★★★★ So cute and a perfect gift for any couple around. 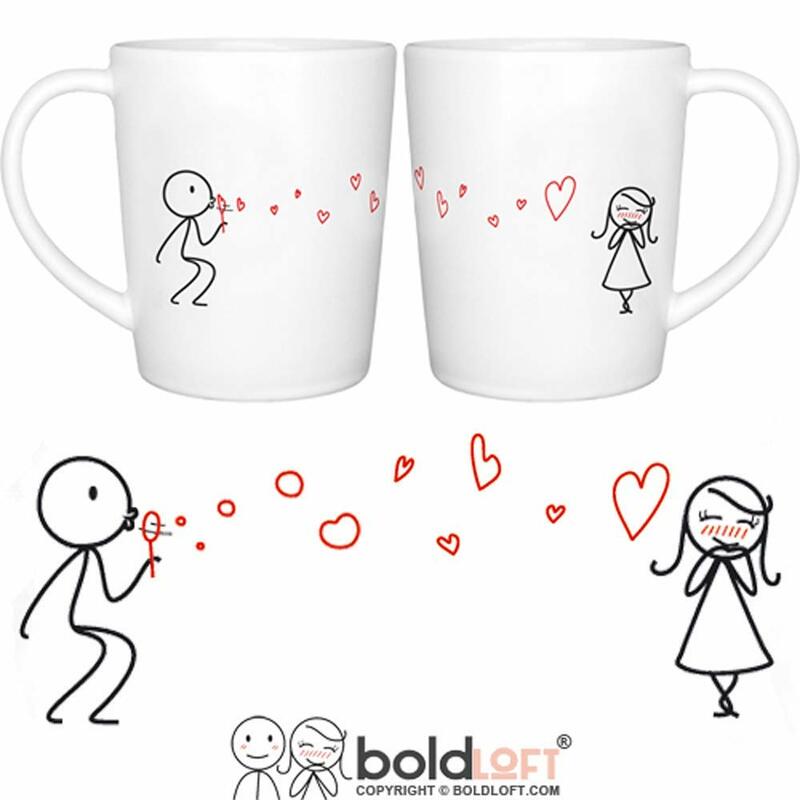 I thought, by the picture, that there was a 'his' and 'hers' cups, that is, one with the girl and one with the boy blowing little heart bubbles and that they would be a paired set. However each cup has both figures, just for your information. I can't see that it would make any impact on purchasing decisions but I didn't know. Either way, very cute and great for any one in love.